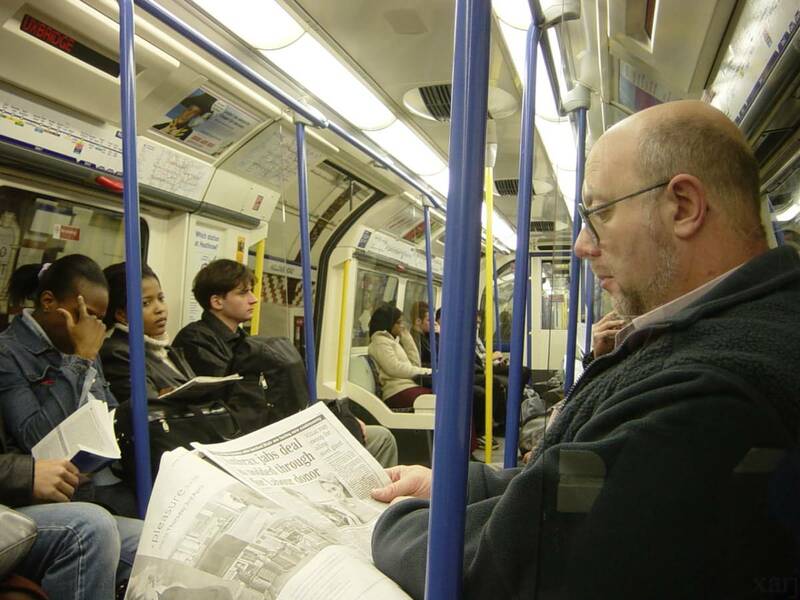 Typical scene on the London Underground: A business man is reading a newspaper, a teenage boy is damaging his ears by listening to some loud music on his headphones. A girl is painting her nails, playing Ruzzle on her smartphone, or putting on some makeup (usually all of the above together). What do these people have in common? They regard conversation as a contagious disease. If someone dares to talk to them, they immediately label that person as a weirdo or simply annoying. They might fake a smile, mumble something just to cut off the conversation and immediately rush back to their very important book or even more important Ruzzle game. The word “They” also included me. I was no exception. The routine completely destroyed one of my basic needs as a human being: socializing. Sounds awful, and it was as awful as it could get in a big city like London. In the safety of our home town, we don’t bother interacting with strangers. We actually “fear” them to a certain degree. What was your mother’s first lesson? “Don’t talk to strangers! Don’t accept anything from strangers”. We get brainwashed since when we were young: Stranger equals danger. We have our trusted friends anyway, why bother talking to random people on the bus? We are too busy, too tired or too rushed. We need to finish that crucial email or report, list our priorities for the day, or mentally go through the main points for that meeting with our boss. We don’t have time for trivial conversations with strangers . As soon as we take off for our journey the perspective suddenly changes. Good news, when we travel we have all the time in the world! What we tried to avoid for years is now all we need: meeting new people to share our latest adventures, having meaningful conversations and learning from each other. We finally regain our true human nature, we get hold of the young toddler trapped inside us, with an insatiable curiosity towards the adventure and the unknown. We are wowed by the simplest things in life again and we become more open and receptive. Does this sound familiar to you? I bet it does. As this is one of the main differences between being a traveler or just ticking off places from our bucket list. The switch doesn’t happen overnight, it takes time, patience, and willingness to learn the lessons down the road. Through people. 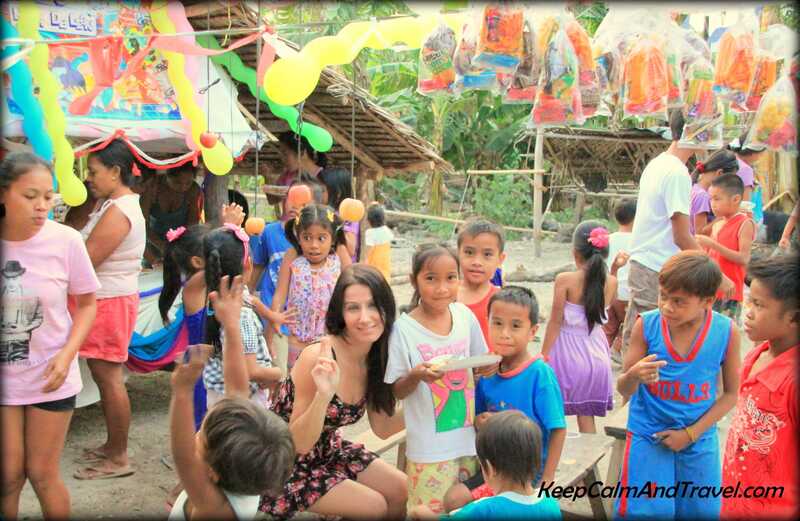 The amazing experience with the kind people of the Antique region in the Philippines. In the beginning, we might be more cautious, but as times goes by and we learn how to open up again, things become smoother and sometimes we even decide to continue our journey with someone who was a total stranger only ten minutes before. Yes, strangers, until we become friends and travel mates! The people you meet can make or break your journey. Yes, people are THAT important. My family far away from home! I’ve spent one of the sweetest Christmas with these friends. I met them in a hostel in Thailand just a few days earlier but the bonding was immediate! The people we meet on the road can share incredible life experiences with us, change our point of view, open our mind, create new challenges and deeply transform our way of seeing things. They will drag you out of your comfort zone, force you to face your fears and slap you in the face (literally or not) if needed. How can people transform us this way during our travels? Simple. Because traveling itself is slowly changing us, and our way to see the world. I don’t know you, but I’ve never felt more in touch with my real self than when I’m on the road. I do what I really want. I dare more, I have lesser fears. In simple words: I’m FREE. This switch of behavior, from diffident to open, will attract the right people to you. It’s when you are yourself that the right people will come to you. Effortlessly. In the beginning, I thought it was magic. Luckily for you is not. Positivity attracts positive people. Smiles, the best universal language ever. Carabao Island in the Philippines, where we were invited to a local party! If travel is the salad of your life, the people you’ll meet on the road will be the salt and vinegar in it. You would probably enjoy yourself anyway, but it wouldn’t have the same taste! 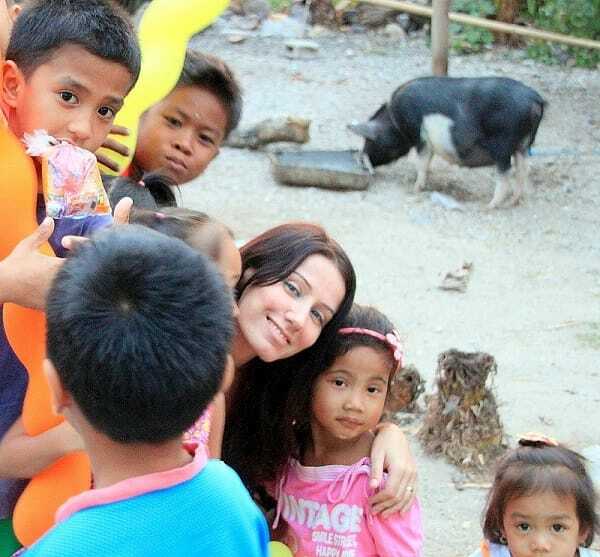 Me with some cute Filipino kids in Carabao. We were invited by a local family to join their house party. One of the nicest memories of my 4 months in the Philippines. Apologies if I’m about to hurt someone’s feelings, but I’m fed up with lists of the top 10 types of people you will meet on the road or the top 10 types of travelers you’ll find in hostels. There is some degree of truth in these lists, but more often than not, they are a collection of clichés. Everybody has a unique story to tell. Behind the cliché, I’m 100% sure that even the 20-year-old drunk backpacker on his “meaningless gap year” can teach me something. Yes, that’s right. Who am I and what do I really know about other people’s life to make such a strong statement anyway? That’s the real problem. Generalizing. I hate it. Sometimes we should throw our prejudices in the garbage and simply TALK. Ask questions, be genuinely curious. I had one of the most incredible lessons from a guy that my friends immediately labeled as “a drunk retarded backpacker”. Nothing could be further from the reality of who he really was. Prejudice is poison for the traveler. To avoid yet another cliché’ list, I created a special one, where I include real life people and real stories. The people I will describe in here were not perfect or particularly enlightened. They were normal individuals like you and me. Troubled, peaceful people, young, old, often nice, sometimes rude people. They all helped me to change my perspective and my approach to people in my every day life. I omitted some of the names for privacy reasons. For some of the people, I don’t even have a name: our conversations were not based on trivial info like names, we simply listened to each other stories during the few hours/minutes we spent together. No matter for how long someone crosses your path. People can change your life forever, with a few touching words,a kind gesture or even with a simple look. Stories of genuine kindness. Those small gestures that make the difference. One day I got lost (what’s new here?!) and I asked an old woman where I could find the biggest shopping center in town. Not only she joined me on the tricycle, but before I could even reach for my wallet, she paid my fee and left the vehicle with a big smile on her face. And what about the three girls in Coron? Sam, Ayah and Jam this is for you! 🙂 Back from a three days expedition in the wild and remote islands of Coron, I was tired, thirsty and looking like a bum. I was buying some groceries at the market when I stumbled upon these young ladies. They offered me water, warm hugs and insisted on escorting me to the shops to make sure I was OK. These girls didn’t want anything in return. I specify this as I’ve heard so many stories of tourists complaining that when traveling in less developed countries, the locals always treat us like we are walking ATMs. This is not always true. I could fill 200 pages with similar stories: The family who invited us to their home party in Carabao, the Thai Immigration officer that offered us shelter and food during our first night in Bangkok and so many other incredible people. ….And they say the world is a bad place. Why don’t we just switch the TV off from time to time and talk to our neighbor, to the homeless man on the street or simply travel for a bit? Nice people are everywhere, but they don’t make it to the news. Go out and you’ll find them. I met D. on a party Island in Thailand. He’s the guy that my friends labeled as “a drunk retarded backpacker”. His cheerful manners and looks indicated that my friends were probably right. When he asked me to take a walk on the beach, I accepted only to discover that behind that shallow appearance was a very troubled, sad yet brave person. We just spent a few hours together, I let him do all the talking as I knew how much he needed someone who truly listened to him at that moment. I won’t go into the details of our conversation but I will never forget it. It completely changed my perspective. I finally got rid of my prejudice and saw a real person behind the mask. It was an enlightening experience. From that point on, I always try to avoid judging someone or placing them in a silly travel category based on first impressions. The kid was so small and skinny that it was difficult to guess his age. Barefoot and wearing worn out clothes, he approached me and my friend as we were about to have dinner in a local street restaurant. His eyes resembled the ones of a puppy, awaiting for a piece of meat under the table. I ordered a sprite, and the little kid asked if he could have it. Of course, I gave it to him and before I could ask him anything, he ran away smiling. That was his dinner. A stupid sprite. I felt so guilty. That was the first time I stared right into the eyes of poverty. The real one. I wish I could have given the poor kid something to eat as well but he was gone too fast. When I think of him I feel ashamed. Ashamed of my stupid western complaints. Ashamed that all I could give him was a damn stupid sprite. One day I found a box from an association for homeless kids, and when no one was looking, I put some money in it. And still felt ashamed, as the only thing I could do was putting some stupid money in a box. 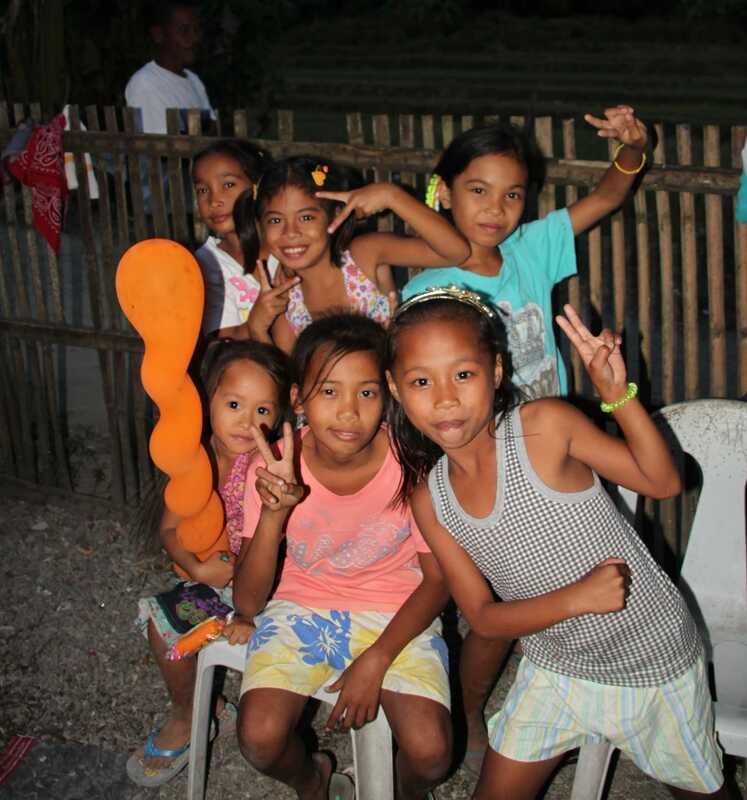 Angelica and her friends in the Slums of Manila, during a very intense, informative tour that changed my life forever. 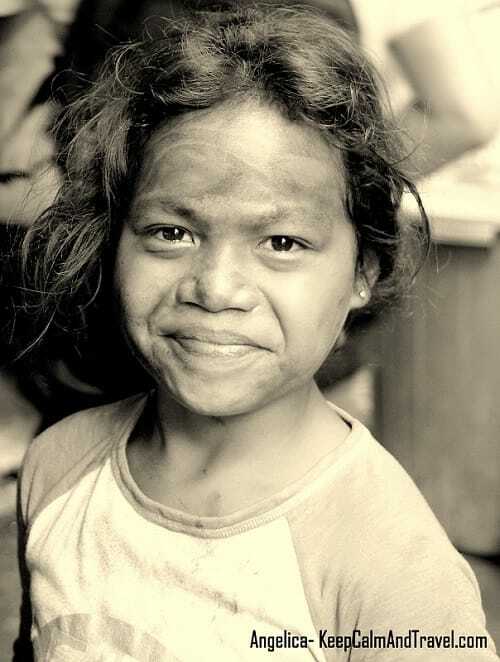 When I met Angelica in the Manila’s slums, my feelings of guilt were even stronger. I took several pictures of this cheeky little girl. Because she asked me to. It was her moment of glory. Her hands, feet, and face were dirty with charcoal, as she is a worker at the big deposit nearby. What struck me the most about her was the look in her eyes. They were the eyes of an adult. Not much was left of the kids innocence on her face. It’s difficult to put into words how she deeply moved me, but as per the Cambodian kid, she gave me a life lesson, the hard way. Both of the kids were no longer kids. They suffered, yet they didn’t know what the alternative was. 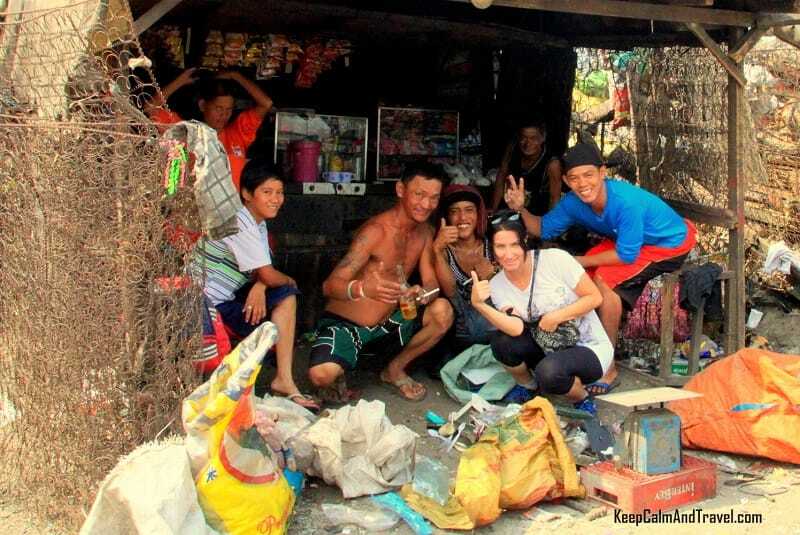 They didn’t even know that they were among the poorest people I’ve ever seen.That was their reality. Every day. Yet, they kept smiling. If this is not a lesson, I don’t know what is. Miss K. from England and Miss L. from Australia didn’t know each other, and that’s a real shame as they could have been the perfect travel mates. They both took off, backpack on their shoulders as solo travelers .They were both over sixty. Amazing. Miss K: When I first met her in a Guest House in Siem Reap, I listened to her story in awe. I was 35 and complaining about the heaviness of my backpack and the unbearable heat, and she cheerfully replied by telling me about her bicycle ride at the Angkor Wat temples. Despite the 30 years that separated us: I was clearly the older one. Miss L.: I was in a 10-bed dorm in Rome when I met Miss L. from Australia. As soon as I entered the room she immediately started a conversation and grabbed my attention with her travel tales and her relaxed aura. She didn’t seem to have a single problem in her life (turned out that it wasn’t exactly like that, she was a very strong woman and strong people seldom complain about their problems). She was just coming back from the Inca trail in Peru. Fresh as a spring rose she was. My jaw dropped (and yes, she showed me the pictures proof that she really climbed the mountain to the top). At some point she politely excused herself, she reached for her backpack, put on a night-gown, brushed her hair, and wished me a goodnight to me. It was a bit early (around 8 pm) and I still had to grab something to eat. I was concerned about the noises I’d make when I’d be back. She gave me a relaxed smile and with her calm voice (and funny Australian accent) she told me “Oh dear, don’t worry about me! I have my eye mask and my ear plugs, you can make as much noise as you want!”. Wow. Now That’s what I call a real traveler. These two women were plain awesomeness. They were the concrete prove that everything is possible,that it’s never too late to do what makes you happy. They also had something else in common, other than their age: Their calm, relaxed and peaceful aura.It was contagious. Being around them I was very relaxed and in peace with myself. They looked happy, yet their stories were filled with troubles and sorrow. What was the secret of these two extraordinary ladies then? Their mindset. AFTER ALL TO BE REAL TRAVELERS AND HAPPY PEOPLE ALL WE NEED IS THE RIGHT MINDSET. To overcome the prejudice and the fear of the stranger, to understand that it’s not what we own that will give us happiness, as even the poorest can be happy (sometimes happier than us) and that with the right mind-set there is no limit to what we can achieve. 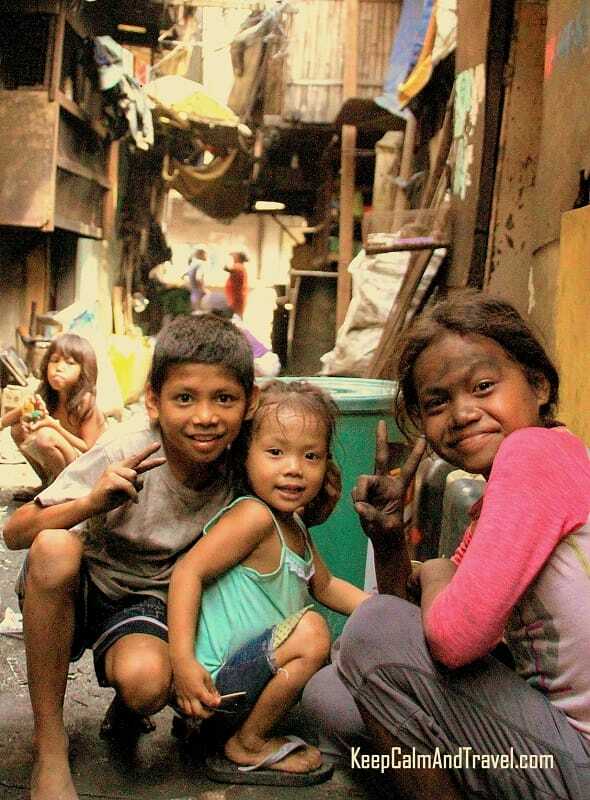 Poor people smiling, a great lesson for me in the slums of Manila. SO HOW YOUR APPROACH TOWARDS PEOPLE CHANGED DURING YOUR TRIP? I’D LOVE TO HEAR FROM YOU AND THE SPECIAL PEOPLE YOU MET ON THE ROAD! Amazing stories! I’ve also met truly incredible people during my travels and I see my hometown differently after traveling. You see the things that you wouldn’t notice before. Traveling is indeed life changing! Really great and inspiring post. We love travelling but you’re right – it’s the people that leave that lasting impression. Travel takes you out of your comfort zone, allows you to meet and speak to people you never would – therefore making you a better person. Traveling definitely has a way of doing this. I think it’s all about bringing consciousness to one’s interactions with others! Humanity is all around us, if we open our eyes. This article really resonated with me particularly the parts about the young Australian and the poor street kids. I’m in India at the moment and the poverty is extreme, it’s a constant reminder to put my petty problems into perspective. Just a couple of days ago it really hit me that when the wi-fi/power went out I got upset that I couldn’t finish what I was doing and decided to go for a walk. To walk out onto the street with beggars and homeless people was a real wake-up call to what I was actually complaining about. Memorable moments and people come, when a traveler is open to them and willing to accept any kind of adventure, I guess. Hugs and lots of like-minded spirits on your trips! Amazing article, I can relate so much. I live in London and you described the underground scene perfectly. I also love traveling and I am much more open when I’m on the road. Thanks for the great post! I love your blog…this is my first comment but I’ve been following you for a while and your stories are always so inspirational! This is one of the most profound and insightful posts I have read on a travel blog. You have an amazing talent to see people in totally neutral manner. Not many people can do that as we are conditioned to form an opinion at first glance. This article will be printed and carried on my travels to remind me that the real treasure is the people, not the place. Thank you for sharing your reflections Clelia. It’s great to know you’re not only out there to travel and see the good and fabulous sites and share the photos. Too often, some travel bloggers just present what’s best and attractive in the places they visit. Your giving a social dimension to your blogs makes you the real traveler. Keep it up.